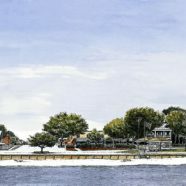 There is a lot of Southport, Oak Island, Wilmington scenes done with watercolor. 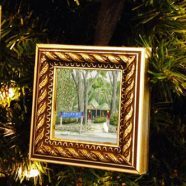 Come in to see the various scenes and sizes we have on the walls. 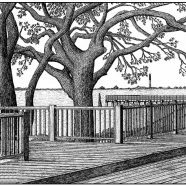 This one is of Southport, NC. These are of the local area, Oak Island and Wilmington, NC. Pen and ink with watercolor. 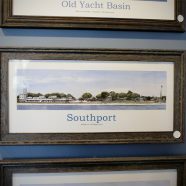 These lovely scenes of Southport, Oak Island, and other areas near by are done by Ricky Evans himself. These are pen and ink with watercolor. 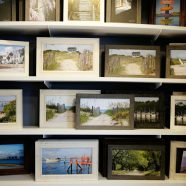 There are many to choose from, framed and unframed. 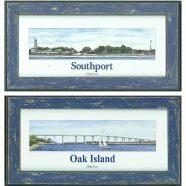 Here below are two of Southport and Oak Island.